Learn more about human nutrition and health. Our bodies require us to consume macronutrients on a daily basis to maintain numerous bodily functions such as growth and providing energy to carry out activities. The course Human Nutrition - Introduction to Macronutrients provides an in-depth look into the three key energy-yielding macronutrients - carbohydrates, proteins and lipids. The course begins by introducing the learner to the three energy-yielding macronutrients carbohydrates, proteins and lipids. 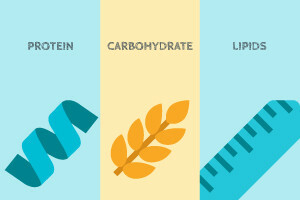 The course covers the nature and roles of these primary macronutrients from the various types of carbohydrates to the importance and functions of lipids. This free course will be of great interest to all learners who want to understand and gain knowledge on macronutrients or any professional working in the areas of healthcare and health promotion and who would like to learn more about macronutrients. Discuss the various types of carbohydrates. Discuss the various types of amino acids. Outline the four levels of protein structure. Discuss fatty acids and their differences. Identify food sources of fatty acids. Discuss the role of eicosanoids.